*Please note your tour is based on client booking their own hotel. 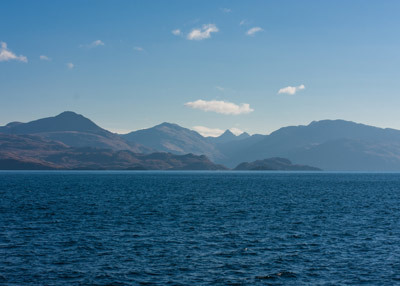 Are you looking for that ultimate Scottish holiday experience? Well why not book one of our chauffeur driven sightseeing tours. Scotland has many stunning places to visit and the scenery is amazing. One of the most iconic places to visit in Scotland is Edinburgh and the Isle of Skye. 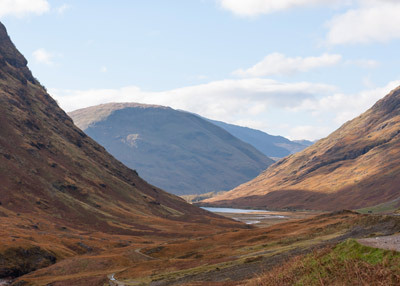 You will be chauffeur driven via Stirling and Callander then driving over the barren landscape of Rannoch Moor and the Black Mount to Glencoe, one of Scotland’s most famous glens and the site of the 1692 massacre of the Clan MacDonald. After passing through Glencoe you will then drive through Fort William then stopping of at Glenfinnan. Glenfiinnan is famous for being the place where Bonnie Prince Charlie raised his standard on the shores of Loch Shiel. Glenfinnan has also now been made very famous around the world for being the place where Harry Potters Hogwarts express steam train passes over the Glenfinnan viaduct bridge. * Please note you should be ready to depart from Glenfinnan for no later than 1430. 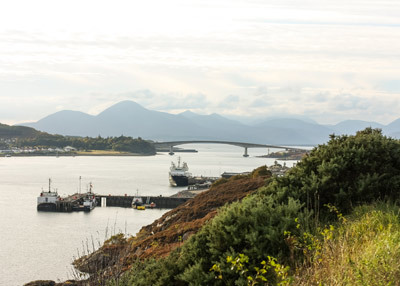 * Arrive around 1530 at Mallaig ferry terminal to catch the 1600 boat across the sea to the isle of Skye. Depart 0930 after breakfast and drive to Portree. 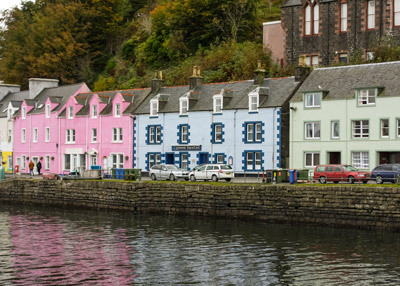 Portree is the main town of Skye and one of the towns main features are the picturesque painted cottages that are situated looking over the harbour. Your day in Portree will be very relaxed and you are invited to walk around the town at your own pace. If you would like to depart before 1600 just talk to your driver to confirm. Boat trips MV Stardust offers 1.5 hours boat trip around Portree bay with the change to see seals, porpoises, and if you're lucky white tailed sea eagles. Departing 1000am arrive Edinburgh airport or Edinburgh hotel for 1700. 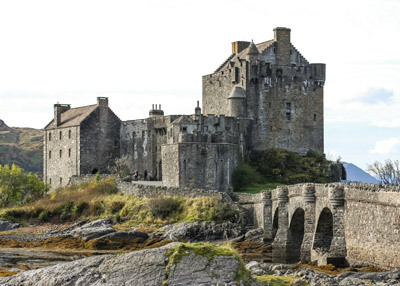 Departing from Skye around 1000am driving over the Skye bridge and onwards to one of the most stunning and iconic Scottish castle Eilean Donan Castle. Please note due to the ever-changeable weather conditions in Scotland your visit to the castle would be decided on the day when you arrive. Lunch and castle entrance fees are not included in the price of your tour.